You will be evaluated based on your profile (i.e. Curriculum Vitae) and by interview (live or skype/phone) with a mix Committee of University Professors, Industrial Experts, Company Executives and Human Resource Managers. International Students are welcome for boost their career in to Multinational Companies and Unique Engineering Projects. Application is free of charge and deadline for on-line registration is March 13th, 2017. therefore people are encouraged to pre-register . The Interviews for the Selection are schedule for March 14, 2017, Live in DIME University of Genova, via Opera Pia 15, 16145 Genova, Italy in Teleconference by Skype; please contact agresta@simulationteam.com for details or for requesting Skype interview. 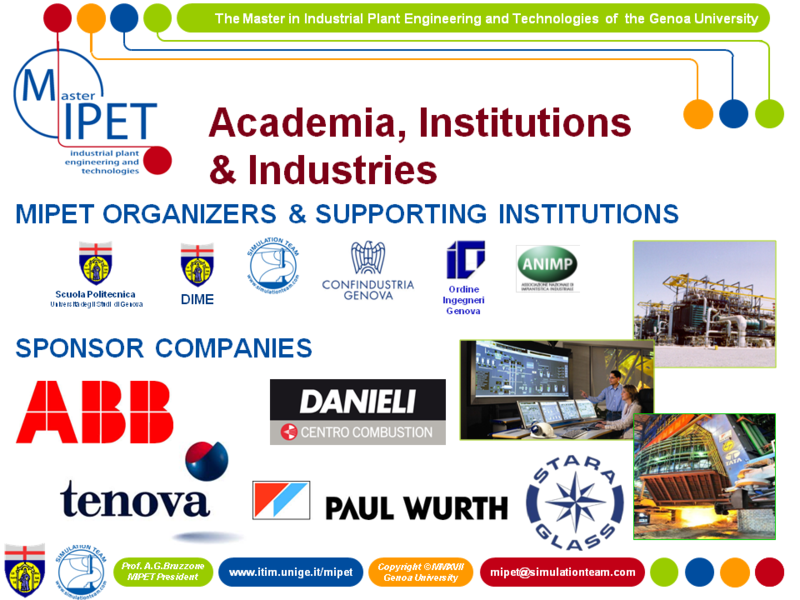 MIPET (Master in Industrial Plant Engineering and Technologies) is a One-year International Master Degree Program organized by Genoa University in strong relationship with leading Industries and Association. MIPET focuses on preparing new generations of top quality technical experts for Process Engineering, Industrial Plant Main Contractors, Power & Energy Industry, Iron & Steel Sector, Plant Equipment Suppliers as well as Construction Companies. MIPET main aim it is to satisfy the expectation from Leading Industries in term of high technical skills and excellence capabilities in Industrial Plants and Engineering. The Master Program is directed by Polytechnic School - Faculty of Engineering in strong cooperation with leading industries and major companies operating in these industrial sectors; this approach guarantees the relevance and effectiveness of the initiative in the international scenario. In fact this project is part of a large initiative devoted to develop excellence in Industrial Plant Engineering through the synergy between the expertise of Genoa University Engineering Faculty and Top Level Companies with long traditions that are leading this Area Nationally and Internationally in term of turnovers, size, processes and products complexity as well as know how and technical background and skills. 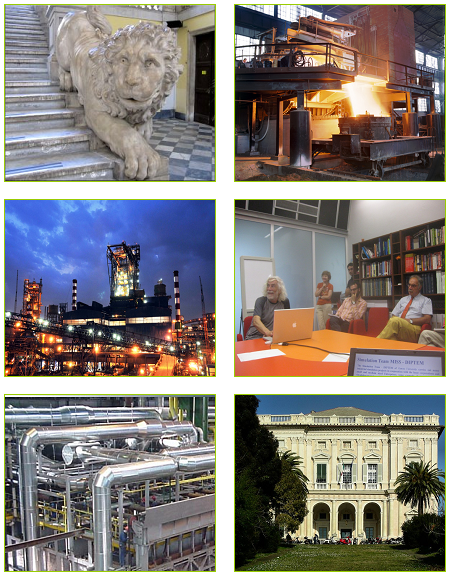 MIPET is the International Master Program of Genoa University addressing the challenges of modern Plants, Engineering Systems and Technologies. MIPET, in 2017 reaches its 8th Edition, and it is sponsored by leading Companies in cooperation with National and International Industrial and Scientific Associations. MIPET is able to attract top level students from worldwide; Major Companies are directly involved in selection process, teaching and mentoring, internship and placement opportunities (i.e. ABB, Danieli, Paul Wurth, Tenova, Prisma, Foster Wheeler, Dupont, FISIA Italimpianti gruppo Impregilo, Rina). 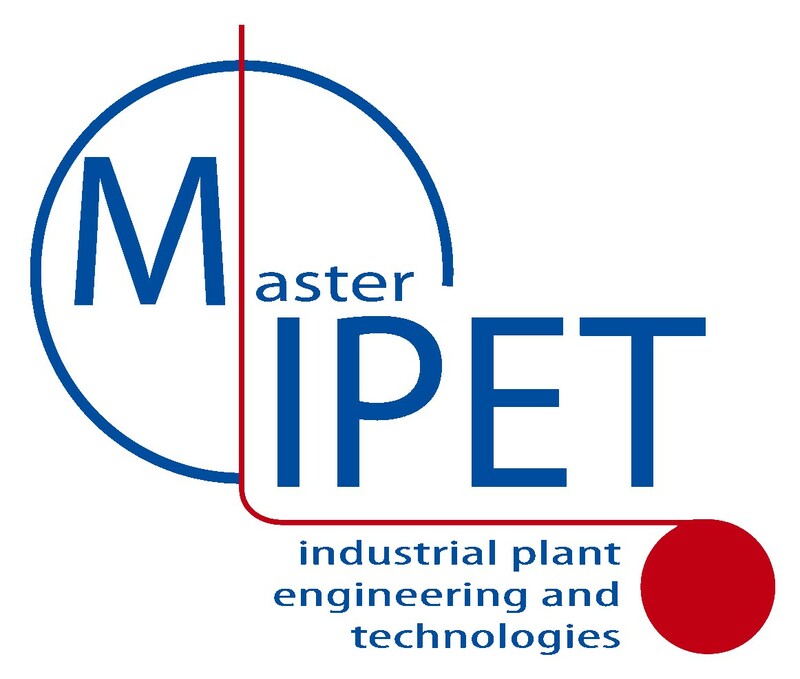 MIPET adopt a system approach to enable candidates to master the complexities and technologies related to modern Industrial Plants within several sectors (i.e. Energy, Iron & Steel, Oil & Gas, EPC and Process Industry) within an international framework. MIPET provides strong foundations as well as direct practical experience and knowledge on Industrial Plants, Technologies, Tools and Methodologies. MIPET includes advanced modules in strategic areas (e.g. Sustainability, Safety, Risk, Standards and Regulations, Project Management, Combustion, Diagnostics, Service, Water Treatment and Environment). You will empower your potential becoming part of the MIPET International workplace and by networking with Company Executives, Experts from Multinational Industries and University, Alumni as well as promising colleagues. You will acquire working experience on live projects during MIPET Internship and Project Work as well as up-to-date skills in Industrial Plant Engineering and Technologies from most qualified sources. You will improve your engineer background with an International Master and Industrial know-how, enriching your CV for your future career as technical expert and leader. MIPET statistics confirm that over the last editions more than 80% of the graduates was hired by companies at the end of the course. 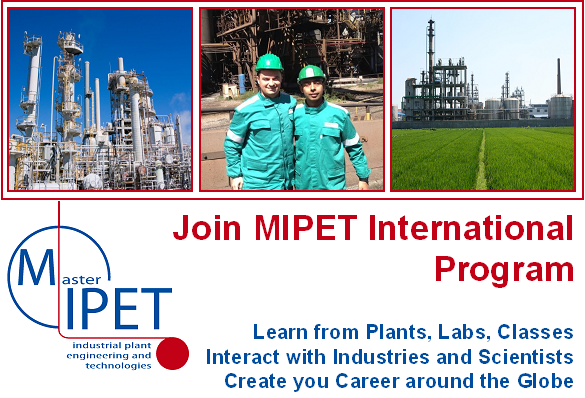 MIPET transfers state-of-the-art knowledge in process, plant and system engineering by involving the Class interactive lectures, operational experiences, computer simulation, RPG, serious games, plant and lab visits, internships and project works. MIPET students learn to be proactive in an International Environment facing complex technical challenges. MIPET graduates acquire interdisciplinary capabilities to deal with complex industrial problems from Top Level Experts from Industries and Academia working side by side on each specific topic as part of the Master Faculty. MIPET students could attend modules for improving language skills (e.g. English, Chinese, Italian, etc.) 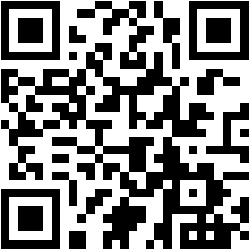 as well as live seminars on international workplaces (i.e. Latin America, China, Far East, Middle East). MIPET includes modules covering important related subject areas mechanics, high power, electronics, computation, management, security and safety, materials, processes and components. MIPET provides deep technical skills in Industrial Plants as well as the capability to get the whole overview on plant projects and their technical aspects along the whole project phases: Offering, Engineering, Purchasing, Construction and Erection and Commissioning. PLEASE send as soon as possible your Pre-Registration Forms and Curriculum Vitae et Studiorum to mipet@simulationteam.com in order to get benefits of preliminary interview and potential development initiatives provided by MIPET program; in addition this procedure is very useful in case you need to apply for a VISA. All documents presented must be presented in pdf files. 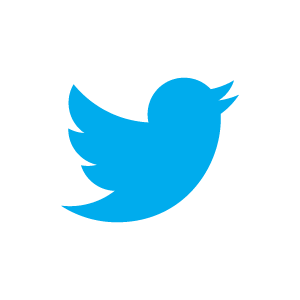 You will be evaluated based on your profile (i.e. Curriculum Vitae) and by interview (live or skype/phone) with a mix Committee of University Professors, Industrial Experts, Company Executives and Human Resource Managers. International Students are welcome for boost their career in to Multinational Companies and Unique Engineering Projects. Application is free of charge and deadline for on-line registration is March 13th, 2017. Please contact mipet@simulationteam.com for details on application process. MIPET Sponsor company will finance scholarship for excellent students covering tuition fee. MIPET full tuition fee is 7'500.00 Euros. In addition, some company can decide to refund part of the tuition fee at the end of the programme as happened in the past years. 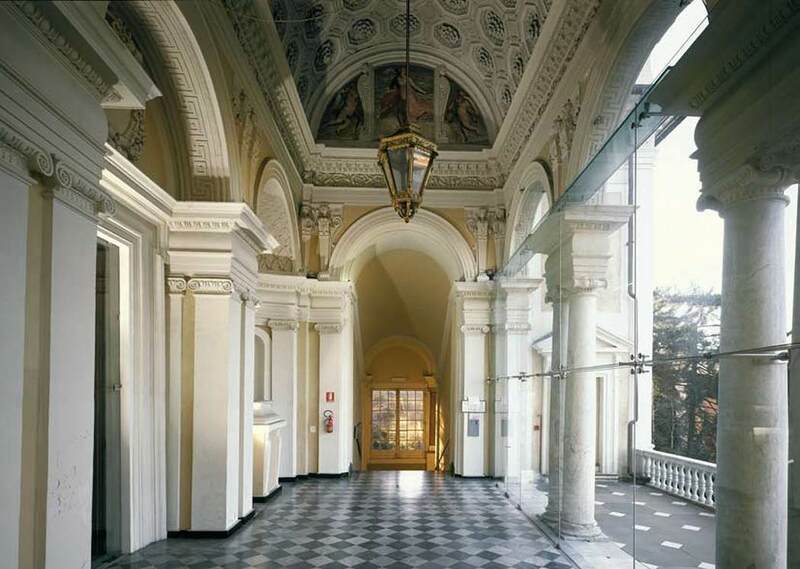 All the living costs are in charge of the students, but Genoa University helps in finding very convenient accomodations. MIPET-8th Edition Final Selection is schedule on March, 2017 in DIME Via All�Opera Pia 15, 16145 Genova � ITALY. Interviews could be completed both live on site and remotely by skype. Preliminary Interview will be carried out with Candidates that applied on the Preliminary Registration during November/December 2016 and January/February 2017 for speeding up their VISA procedures and for promoting their potential; students are kindly invited to consider to apply for preliminary registration in order to have access to these benefits. Please Contact Dr.Matteo Agresta for details on the grants and tuition fees. People in Waiting List could be admitted in case of vacancies, please keep in touch with mipet@simulationteam.com for details.